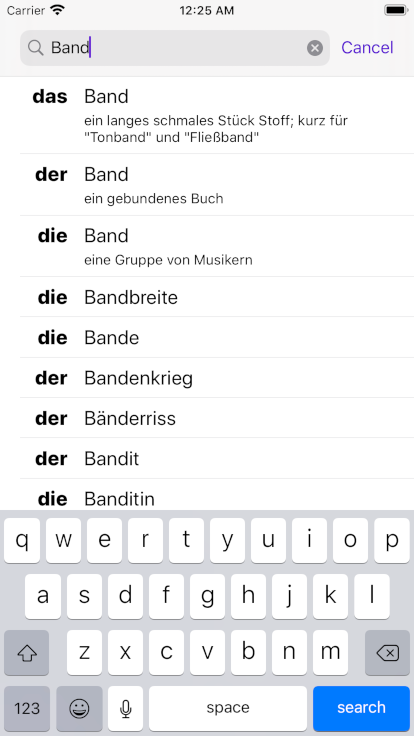 Looking up the article ('der', 'die' or 'das') of a German noun on your iPhone, iPad or iPod touch has never been easier. Just type the first few letters of a word and see the article immediately. 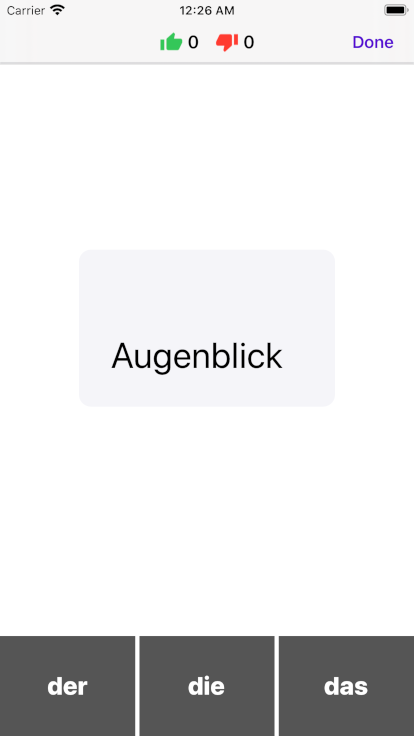 ★ Add to favorites the words for which you want to memorize the articles the most. ★ Play a game to select/guess the articles of favorite words. ★ Play a game to select/guess the articles of random words. 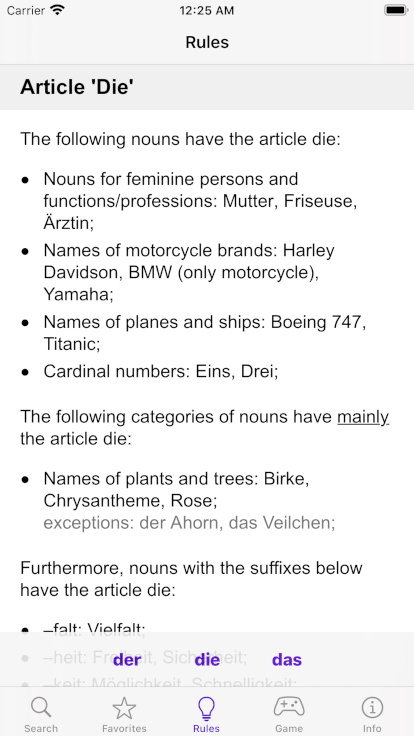 The app also contains a most complete summary of rules and guidelines for determining the articles of German nouns.